About: In 1957, Melba Beals was one of the nine African American students chosen to integrate Central High School in Little Rock, Arkansas. But her story of overcoming didn't start--or end--there. While her white schoolmates were planning their senior prom, Melba was facing the business end of a double-barreled shotgun, being threatened with lynching by rope-carrying tormentors, and learning how to outrun white supremacists who were ready to kill her rather than sit beside her in a classroom. Only her faith in God sustained her during her darkest days and helped her become a civil rights warrior, an NBC television news reporter, a magazine writer, a professor, a wife, and a mother. 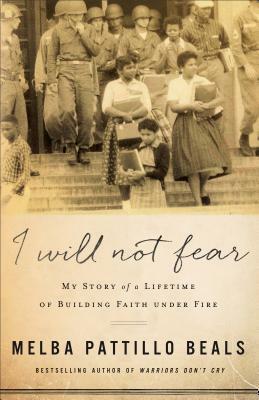 In I Will Not Fear, Beals takes readers on an unforgettable journey through terror, oppression, and persecution, highlighting the kind of faith needed to survive in a world full of heartbreak and anger. 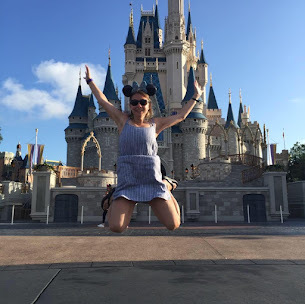 She shows how the deep faith we develop during our most difficult moments is the kind of faith that can change our families, our communities, and even the world. Encouraging and inspiring, Beals's story offers readers hope that faith is the solution to the pervasive hopelessness of our current culture. Courageous! Picking up this book, I wasn't sure what to expect, but what I found was that Melba Pettillo Beals is a woman of great courage and tenacity. As one of the nine African American Students chosen to integrate in Little Rock, Arkansa's all- White Central High School she faced continual racial injustice that I don't think the majority of us understand. However, her courage has allowed so much of the change that we are able to enjoy today with the freedoms of the world we live today because she is willing to share her story. While this isn't an easy read, especially when you hear how the small group of the Little Rock Nine were treated and how this took a toll not only on them, but their community, it makes you appreciate the freedoms we have today. I love how Melba writes about her children, career, faith and life after Little Rock. While this event was significant in her life, so was her life after it. I especially love hearing about her share her faith. A woman who has been through all that she has, should be bitter, but she isn't and faith played a huge part in this freedom. I found this book to be so interesting and I am thankful that she was willing to share her story. She is very inspiring to us all. This memoir is a great read. I give this book 4/5 stars. Melba Pattillo Beals made history as a member of the Little Rock Nine, the nine African-American students involved in the desegregation of Little Rock Central High School in 1957. The world watched as they braved constant intimidation and threats from those who opposed desegregation of the formerly all-white high school. She later recounted this harrowing year in her book titled Warriors Don’t Cry: A Searing Memoir of the Battle to Desegregate Little Rock’s Central High School.